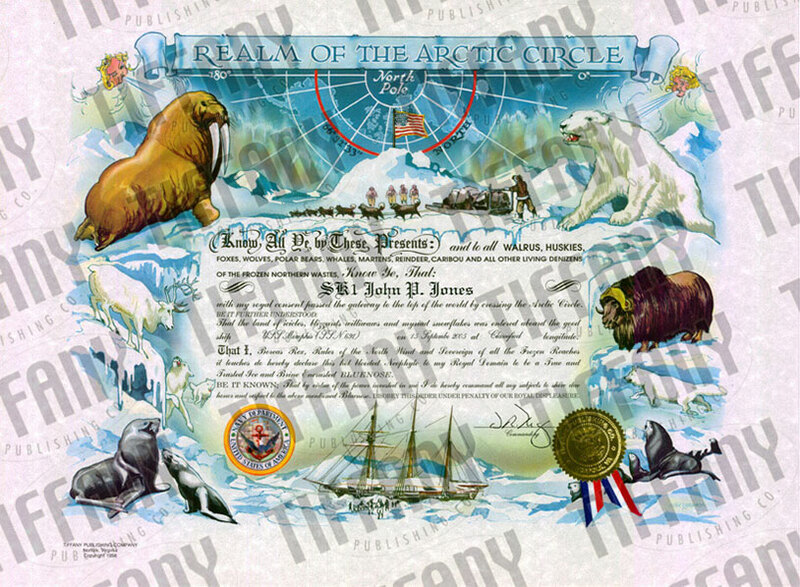 Founded in 1953, Tiffany Publishing Company’s name has become synonymous with U. S. Navy history and tradition. 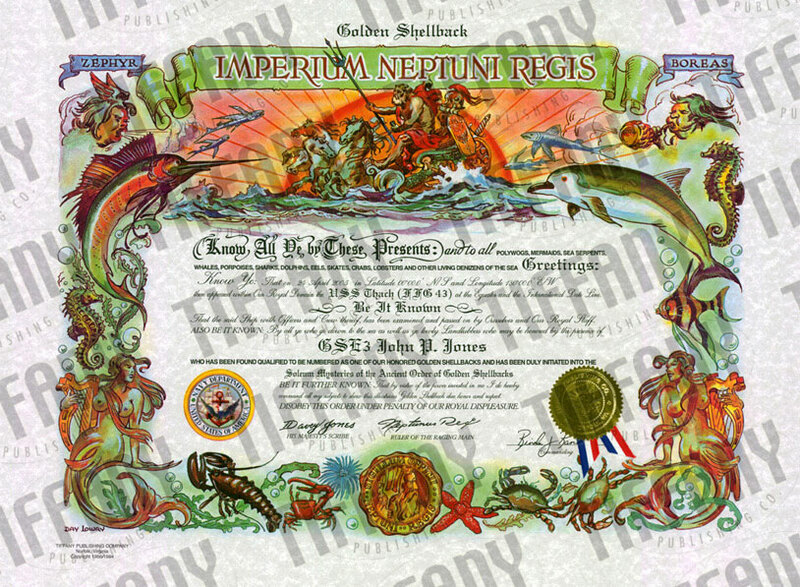 Located in Norfolk, Virginia, home to the world’s largest naval installation, Tiffany is a small, woman-owned, family business dedicated to providing superior quality ceremonial certificates including the Plank Owner and Shellback to the Armed Forces. Ship and shore command commissionings, Equator, Date Line, Arctic and Antarctic Circle crossings, and circumnavigating the globe are events which have been celebrated by the U. S. Navy for decades, and in some instances, centuries. For the last half-century, presentations of Tiffany’s certificates have made the passage of these milestones even more memorable for hundreds of thousands of service members and their families. 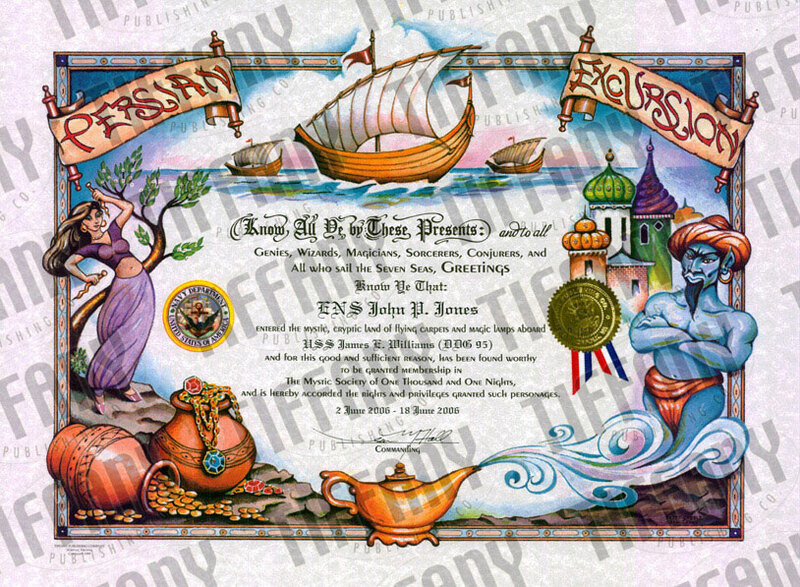 The newest certificate, Order of the Sand Sailor, recognizes Service in non-traditional roles. Other events commemorated by our certificates include participation in Operation Enduring and Operation Iraqi Freedom.